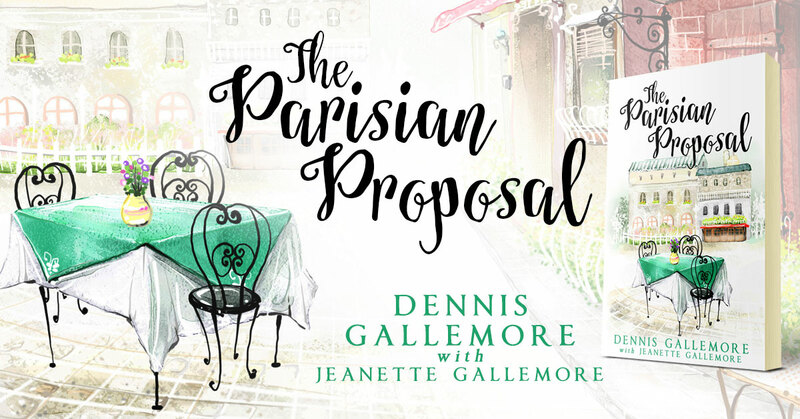 The Parisian Proposal by Dennis Gallemore with Jeanette Gallemore is available at Amazon. In this contemporary Christian romance, New Yorker Charise Rousseau’s whirlwind vacation in Paris turns out to be the adventure of a lifetime. While in Paris, a meeting with another tourist, Austin Holloway, sets in motion a chain of events that turns her world upside down. Is their meeting chance, or is it destiny? This entry was posted in Showcase Spotlight and tagged Dennis Gallemore, Jeanette Gallemore, Parisian Proposal. Bookmark the permalink.